I love Simpson brushes in the "super" knot. Don't care for those in the "best" knot, as I find them too scratchy. 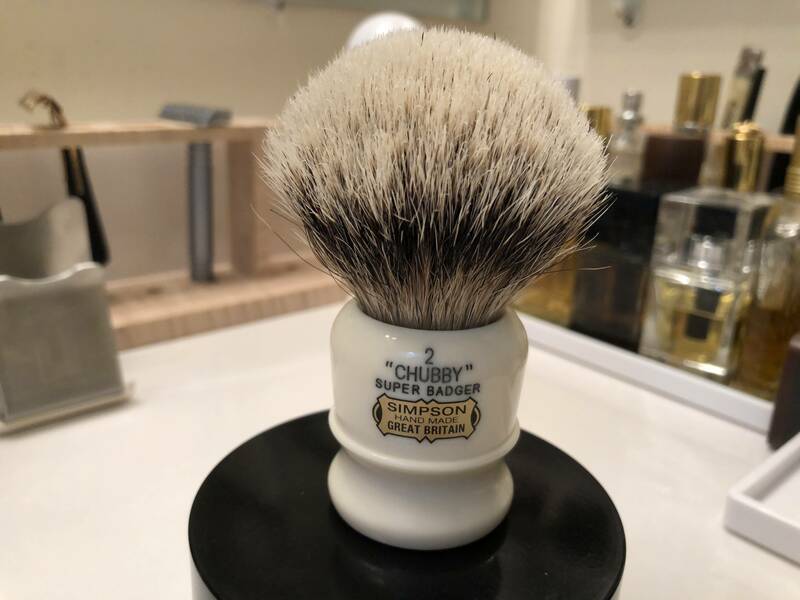 The Chubby 2 super badger is a glorious brush. Unfortunately it is a wee bit large for me. Actually this is my, probably, fourth Chubby 2. But no matter how I wish it would lose some weight, every time I buy it the size remains the same — too large for me. The same is true of the Simpson Persian Jar 3 in super badger. This is an incredible luscious brush. I just wish it were a wee bit smaller. It's a 25mm knot, but it just feels too large for me. In the end, I'll probably have to be satisfied with the Persian Jar 2. These two brushes have been used no more than 10 shaves each, if that. 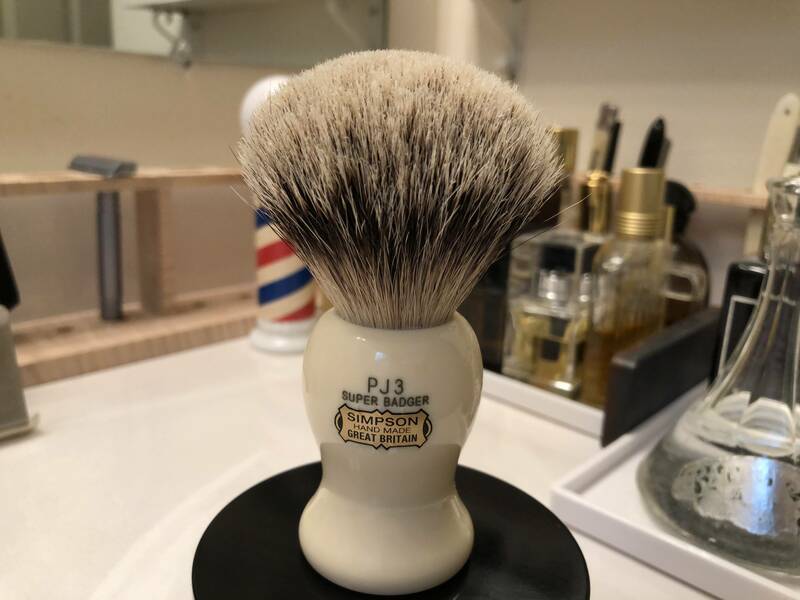 If you've never experienced the Simpson "super" knot, here is your chance with two fabulous brushes. For me, I'll have to stay with the smaller knots. The price includes U.S. shipping. Paypal is fine. No trades, please. This is the final day for this offer. The brushes will go back on the shelf by this evening. Grab them while they’re hot . . . The Chubby 2 is sold. The Persian Jar 3 is still available.